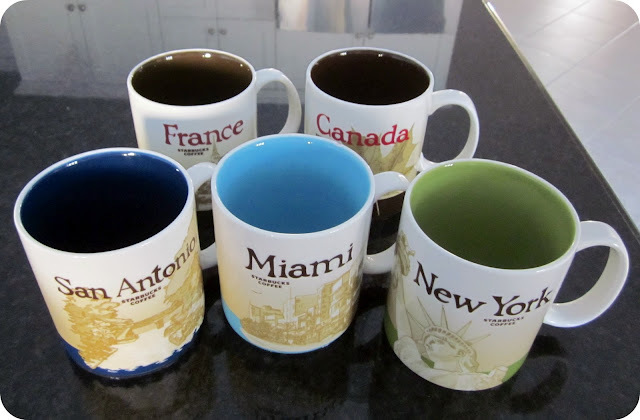 We have 5 new mugs! San Antonio - Brought to me by my co-worker Mirjana. She had a horrible trip down there but managed to bring me back this gem! France - Brought to me by another co-worker, Eric, the silly French guy. Miami - Obtained by Kamber from a friend in Florida - awesome! New York - Brought back by Nadine, a co-worker who went there on vacation. Canada - We finally found and bought this one. Here is the updated list of available mugs. Our farthest city is still Athens.